OK, this blog entry is nerdy. It’s about gear in sports photography. It was triggered by the presentation of a new mirrorless camera that allegedly marks the end of the Canon and Nikon DSLRs. Just let me make clear: I have professional sports photography in mind. Nothing else. I’m talking about the new Sony alpha 9. “The Canon DX 1 killer”. Folks, let’s face it!! Did I invest into the wrong gear? So what’s my gear? Canon. Why Canon? Because several years ago I trusted an experienced photographer and artist who told me “Canon has the better colors”. So I bought Canon. Meanwhile I have my fourth camera and many lenses. From 14mm to 400mm – the total cost I better do not mention. Does my gear do its job? Absolutely. Do I think I need other gear or more? Maybe a second 1DXii. But it’s a minor wish that is kept under control by the cost. 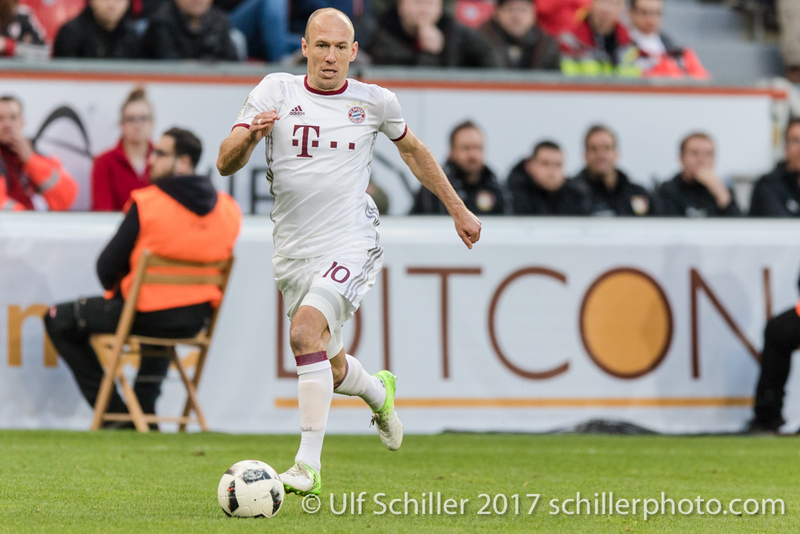 What’s the gear of my colleagues at football Bundesliga matches? Nobody (I repeat: nobody) has Sony. Rather, 50 percent have Nikon and 50 percent have Canon. Each of these photographers carries gear that costs at least as much as my gear. Given these sunk investments, will these people ever switch? Oh yes! They definitely will if there is progress. Cameras get replaced anyway if a new top model arrives. Given the limited life of cameras, buying a new one every four years makes absolute sense. You can’t wait until it breaks down. We’re talking about professionals here. 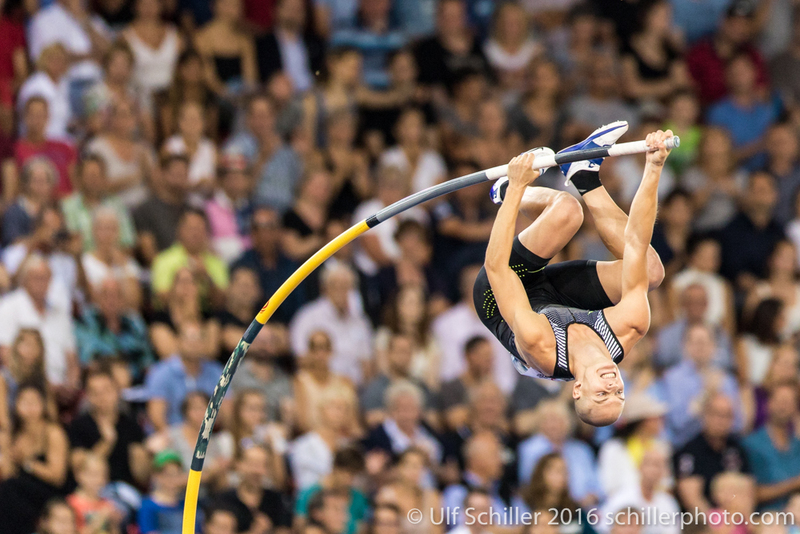 Sam Kendricks: Bronze medalist of the 2016 Olympics: Canon 1DXii with 400mm F2.8; Zurich Letzigrund. What would be the arguments of replacing a DSLR by a mirrorless camera? Weight, some people say. My answer is no. Why not? Think about the lenses. A 400mm F2.8 weights 3.5 or even 5kg. Can you make it lighter? That’s hard to imagine. Lenses are made out of glass. For 400mm/f2.8 we need a diameter of 14cm. Nothing will ever change this. You can’t change physics. Glass weighs. Period. The lens is the problem, not the camera. Shooting with high frequency. DSLRs flicker when you track a subject while firing because the mirror moves up and down. Five or even ten frames are easy. But shooting for 3-4 seconds with 14 frames per second starts making you dizzy. I tried this out. It’s inconvenient. The new Sony shoots up to 20 frames per second without mirror and without flickering. This sounds like an improvement over the DSLRs. Moreover, the mirrorless cameras will have a longer lifetime. Wear of the mirror is no issue. 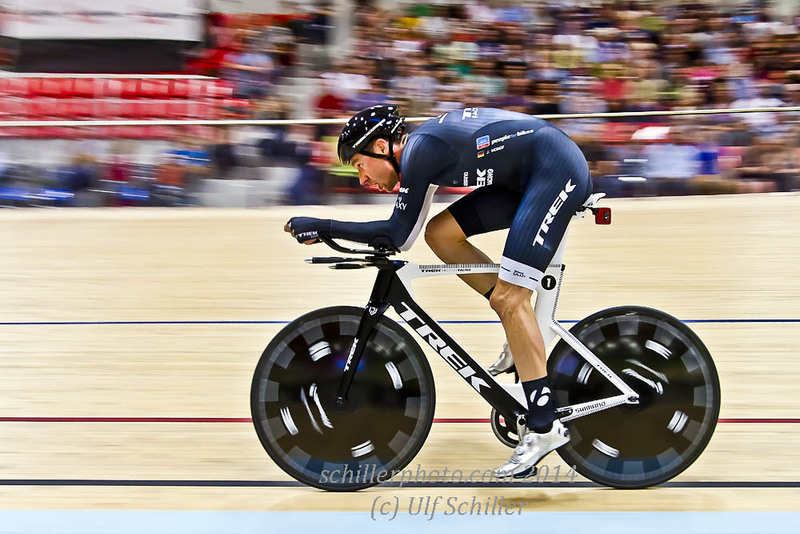 Jens Voigt – on his hour record ride in the Velodrome Suisse. Shot with Canon 7D at about 35mm. Autofocus. The Canon and Nikon pro cameras have a tremendous autofocus. The Sonys never were equivalent. I didn’t try out the Sony a9, but reports claim that there is a massive improvement over the a7II. I trust the sources that report this. So maybe the new Sony has closed the gap here. Haptic properties. Don’t claim that the world is different from what it is. 90 percent of the sports photographers are men. The Canons and Nikons are perfect for mens’ hands. The Sony body is much smaller. The same body as the alpha 7. Too small for mens’ hands. Available lenses. Did you ever hear of a long Sony lens? When I say long, I mean really long. 400mm. And it should be fast: f2.8! I’ve never heard of such lenses. Unless they are around and their autofocus is working, there is no way, that Sony will enter the segment of professional sports photography. Fanette Humair. Studio shoot. Canon 1DXii. 70-200mm. Writing speed. The Sony a9 now has two cards. This is an improvement over one card. Sony closed a gap here. But wait… these are SD cards! How poor is that? The tests on the internet reported looooong delays when writing the picture information from the buffer on the card. I wouldn’t expect anything else. An absolute no go. Conclusion: will I see Sonys replacing the dinosaur models by Nikon and Canon? Not within the next years. I am sure things are different at the hobby level or in other areas of photography. I wish Sony the latter success, so they keep motivated to work on the remaining deficits of their concept.